Fuel, all necessary bait, tackle and equipment and bottled water, tournament equipped bass boat. No hidden fees. All guides are licensed and insured. Need to get your license online? 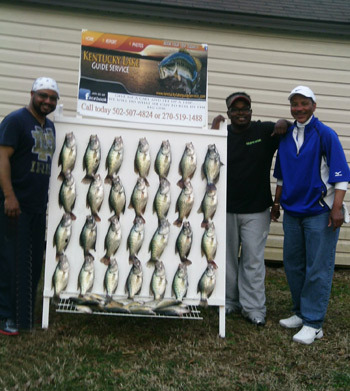 Need some official Kentucky fishing information? If so click here to visit the Kentucky Department of Fish & Wildlife official website. Welcome to Kentucky Lake Guide Service!!! Thank you for your interest in Kentucky Lake Guide Service. I want to tell you a little about myself. I am very family oriented. I live on a farm with my wife, Cindy. I have two children, a daughter and a son, which are both grown. I have three grandchildren, two grandsons and a granddaughter. They make my world go round. When I am not working on the lake, I am working on the farm. I raise my own hay and a huge vegetable garden each year. I have several horses and mules. I also raise chickens. When I am not working at one place or the other, I enjoy hunting, riding my horses and mules, and of course, fishing. I have had a pole in my hand since I was a young boy. I have fished professionally for over 30 years. 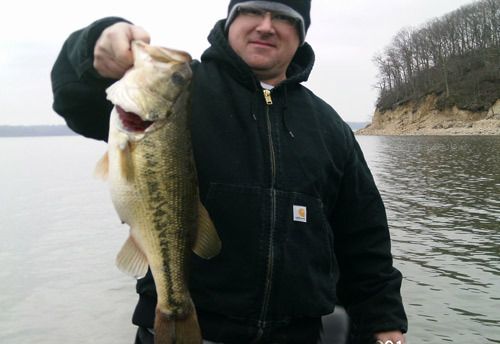 I have fished in tournaments, fished commercially, and now provide guided tours of Kentucky Lake. One of my greatest accomplishments was winning a boat in 1993 at the American Bass Association National Tournament at Grand Lake St. Mary’s. My fishing partner was my son, who was 13 at the time. Ten years later I won a B.I.T.E. Tournament with my wife. We also won a boat. I came in 2nd place in an FLW amateur division tournament in 1996, which was fished on Kentucky Lake. I have fished many days on Kentucky Lake and know several tricks of the trade. I enjoy sharing my expertise with others. I encourage parents to introduce their children to fishing. Not all children have the opportunity to be exposed to fishing and hunting. I want to help as many children have a wonderful fishing experience as I can. While there are no guarantees when trying to catch fish, I will do what I can to make sure that you and your family have a great time. we will do what we can to reel in the big one. To schedule via text message 502-348-1633. 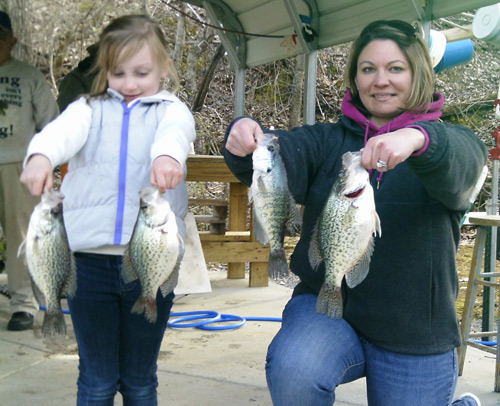 We are a family friendly service and absolutely enjoy getting the kids on fish. White bass trips are an action packed trip that will definitely keep them interested.